On the Wald family grave-plate in the Engesohde Cemetery in Hanover one can read: „Orli 1914-1962.“ Behind this simple inscription lies hidden the story of life of the „Heroine of Auschwitz,“ a life which lasted only 48 years. Orli was born as Aurelia Torgau into a working-class family in Bourell (France), on 1 July 1914. 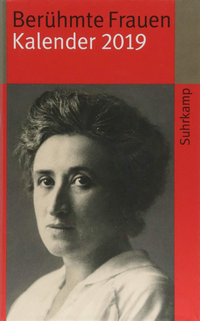 From an early age she was a member of the Communist Youth Organization of Germany (KJVD). When the National Socialists seized power her activities became illegal. 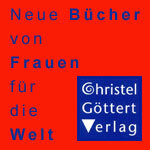 In 1935 Orli married the construction worker Friedrich-Wilhelm Reichert. Although her husband soon became a member of the SA, she continued her work for the Communists. The group for which Orli distributed party information was discovered and brought to trial. In 1936, at age 22, the „wife of Fritz Reichert, Aurelia née Torgau“ was sentenced to four years and 6 months in prison for „an activity constituting high treason“ by the 5th Criminal Division of the Higher Regional Court (5. Strafsenat des Oberlandesgerichts) in Hamm/Westfalen. A few years later such a charge would bring the death penalty. Orli Reichert served her entire sentence in the Ziegenhain Prison near Kassel. Her husband divorced her in 1939. At the conclusion of her prison term she was not, however, set free, but sent to the women’s concentration camp at Ravensbrück. On 26 March 1942 she was part of the first transport from Ravensbrück to the Auschwitz women’s camp, where she was given the number 502. From autumn 1942 till the end of the war she was in the ancillary camp Birkenau. Here she was assigned to the prisoners’ hospital; in 1943 she became senior prisoner in charge of the camp (Lagerälteste). 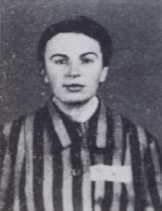 Orli’s selfless efforts on behalf of her fellow detainees in the prisoners’ hospital earned her the title „Heroine of Auschwitz,“ or, as some of her fellow inmates called her, „Angel of Auschwitz.“ With daring and cunning she endeavored to help: for example, even small provisions of food saved many lives. Together with an imprisoned Jewish physician she offered fellow inmates a brief period of rest in the hospital by diagnosing suspicion of typhus. She also was able to save the life of the Jewish doctor. But she was not always successful; „The Handkerchief,“ a story she wrote after the war, tells how she was unable to protect a little blind girl from a deadly injection. Orli was a member of the German resistance group at Auschwitz; nothing is known, however, about her precise role in the activities leading up to the revolt of 7 October 1944. Her final imprisonment was in a subsidiary camp of the Ravensbrück Camp, where she had been sent by the SS on January 18, 1945, on one of the death marches. From there she was able to escape—only to fall into the hands of Soviet soldiers, who raped her. Orli had survived more than eight years’ imprisonment sick with tuberculosis, and in late 1945 she began treatment in the Sülzhayn Sanatorium. There she met Eduard Wald; after their marriage in 1947 she moved with him to Hanover. Orli was unable to cope with the traumatic experiences of her years as an internee and spent considerable time in the Psychiatric Institution in Ilten near Hanover, where she died on 1 January 1962. The city of Hanover regularly honors Orli Wald by laying a wreath on her grave. After her second marriage Orli went by the name Wald, but she had become the „Heroine of Auschwitz“ under her first married name of Reichert. In 1984 a small cul-de-sac, the Reicherthof, was laid out in Hannover-Wettbergen and named after the resistance fighter Orli Reichert. And in April 2007 the city of Hanover decided to change the name of the Alte Döhrener Straße near the city cemetery Engesohde to the Orli-Wald-Allee. Auschwitz: Zeugnisse und Berichte. Hg. Hans Guenther Adler, Hermann Langbein und Ella Lingens-Reiner. Mannheim 1962, darin “Das Taschentuch” von Orli Wald-Reichert (S. 133-136) und S. 399. Hannoversche Frauen gegen den Faschismus 1933-1945: Lebensberichte. Ein Beitrag zur Stadtgeschichte. Antifaschistische Reihe, 5. Hrsg. von der Vereinigung der Verfolgten des Naziregimes. Bund der Antifaschisten-Niedersachsen e.V. Hannover 1983, darin S. 34-38. Sophie & Co: Bedeutende Frauen Hannovers. Biograph. Porträts hg. von Hiltrud Schröder. 2. Aufl. Hannover 1996, darin S. 259-260. Wald, Peter. 1989. Der dunkle Schatten: Leben mit Auschwitz. Erinnerung an Orli Reichert-Wald. Mit Texten von Orli Reichert-Wald, Bernd Steger und Günter Thiele. Marburg. SP-Verl. Schüren.